Hey gals (and guys, maybe)! Hope you guys had a great weekend. I'd happened to go thrifting with one of my girlfriends on Saturday and thought I'd share some of my favorite finds. Every time I hit up my local Goodwill or Salvation Army, I always walk out with some really good stuff, which leaves me thinking "why don't I come here more often???". So I've decided to get back to thrifting more often and will share my finds with you all. First up, I snagged this tea cup & saucers set. I'm assuming they're vintage. I love the mint green color and the angel fish imprint. Come on, who doesn't love angel fish? Second, I found this awesome, awesome, awesome ethnic print wrap skirt. It has a nice A-line shape and it reaches all the way to the floor (depending on how low slung I wear it). Not only is the print awesome--it has pockets! So chic. I'm just giving you a sneak peak because I plan to do an outfit post showcasing it soon. And last, I was on the search for a pair of baggy Levi jeans that I thought I'd cut into "boyfriend shorts". I ran across these and I love them so much, that I wouldn't even think of taking any scissors to them. So I guess I have a new pair of boyfriend JEANS. The tea cups cost me 5 bucks, the skirt was $6, and the jeans were $7. I also bought an Indian tunic and another pair of jeans (J.Crew brand). All in all, my "Goodwill hunting" was a total success. Can't wait until my next excursion! I love thrifting--I found some really cute $1 dresses over the weekend. That tea cup set is too cute--I hardly look through anything other than clothes while thrifting but I think I'm going to check out housewares next time I go. *Good job on the finds* My mom & I use to go yard sale every saturday & I would really find some great stuff at a steal. ^^^Not sure what picture you're talking about, but sure. I'm glad you all approve of my finds! 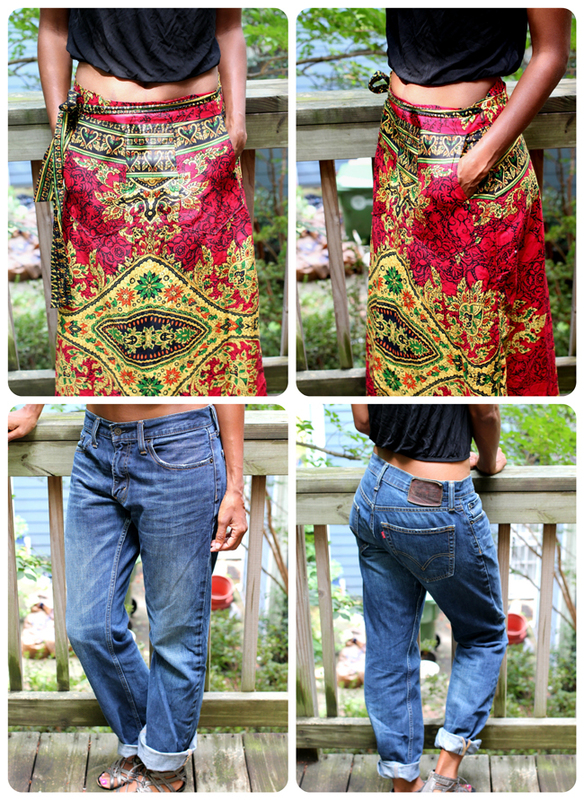 Splendor--the baggy "boyfriend" jeans trend has been out for a little while now. It's an alternative look, skinnies still reign supreme! very cute finds! i looooooove thrifting!